There are two types of warrants that deal with the juvenile justice and criminal systems in the United States. The first is an arrest warrant and the second is a search warrant. An arrest warrant is a court order issued by a judge or person with the statutory authority to issue a warrant for the arrest of an individual. There can be many reasons for the issuance of an arrest warrant. For example, if you miss a court hearing that you knew about, the court may issue an arrest warrant and have brought before it to deal with the case you’re involved with. Law enforcement agencies execute arrest warrants. A search warrant is also issued by a judge or magistrate – someone who, under the laws of your state, is granted the authority to issue these warrants. They must be based on what is called “probable cause.” That means the court must have a sufficient basis to grant the request for the search warrant. Usually, a law enforcement representative goes before the judge, is placed under oath, and states the reasons for requesting the warrant. If the judge finds the reasons and basis for it credible, the search warrant may be issued. They are usually limited in scope meaning a specific place must be named (your car, apartment, etc.) 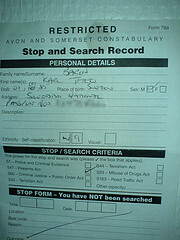 and what the object of the search is (drugs, weapons, documents, etc.). Both types of warrants can be challenged in court. So, if you think they were issued or executed unlawfully, this is something to discuss with your attorney. He or she will know how to proceed in court and make appropriate arguments to the judge to keep the evidence found as a result of the search out of the case.